The Discovery Channel is again gracing the viewers of its ever popular Shark Week with a Megalodon special. Those familiar with Shark Week will remember this very popular feature on "The Monster that Lives" from last year's programming and the ire it raised with the scientific community. For those not familiar, this program seemed to be Discovery Channel's pièce de résistance of misleading shark programming. The fake "documentary" was so detrimental to the viewing community that an audience poll showed 73% of those who had watched the program believed that this long extinct animal still existed. The scientific community takes issue with the fact that Shark Week has become a feeding frenzy of sharks portrayed as frightening or dangerous. 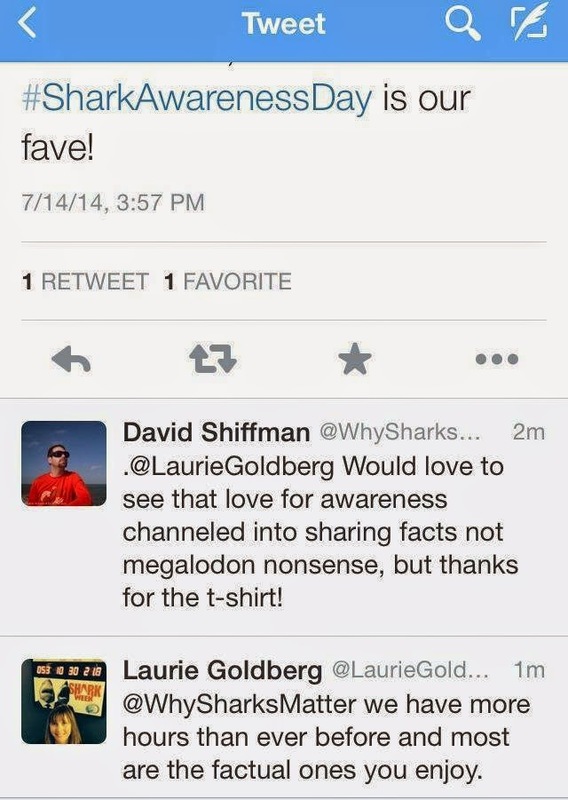 There have even been outreach that the network has done where their posted shark "facts" are flatly wrong.When an entire movie centered around convincing viewers that a giant shark that had been extinct for more than 2 million years still could pose a threat to the ocean, it was the final straw for many in the conservation and scientific community. Even though actual shark scientists reached out to Discovery, the network didn't seem to get the message. This year the network seeks to be doubling down on its Megalodon bet with Megalodon: The New Evidence. No one is quite sure what to expect from the show but the theory is more "eye-witness" accounts of seeing the mythical creature and more CGI than the last Star Wars film. The "Submarine" shark has already been shown to be a huge disappointment with false science and advice like "popping a balloon full of milk". Personally, I am avoiding this show and deciding to get my "Shark Fix" from a few sources that are more scientific and "factual." If you too want to take a bite of something a bit more substantial than the "documentary" programming that the Discovery Channel is putting out there, here are 10 things to satiate your shark appetite. The National Oceanic and Atmospheric Administration has a treasure trove of amazing shark footage, maps, photos and even some very entertaining and educational podcasts. 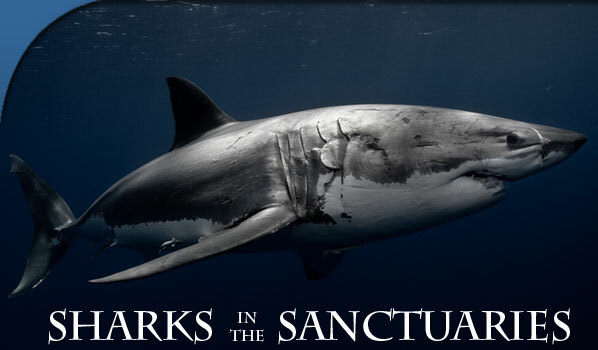 Their focus is on "Sharks in the Sanctuaries" and will even show you the various locations where you can find these amazing creatures. David Shiffman, aka @WhySharksMatter on Twitter, has put together an amazing, comprehensive list of Shark scientists to follow on Twitter and beyond for Scientific America. The list contains member from all over the Earth researching everything from hammer heads, to cookie-cutter to great whites. If you are tired of the same old sensationalistic, non-science show, this is a list that will give you the real science that you can sink you teeth into. The Smithsonian, who has mainly been known for their amazing museums and historical conservation also work in the ocean realm. The Ocean Portal has created an amazing tool for viewing the history of shark protection over time. Looking at this adapting infographic will show you the amazing progress that we have made, especially in finning. There is still so far to go but this is an amazing time-lapse of our relationship with sharks. The Gills Club, an organization trying to increase the interest and activities of children and young women in ocean science has put together some epic shark research comic strips that are being released this week for Shark Week. The comics themselves go over various Shark Heroes that are inspirational true stories of real life, groundbreaking shark research. A great read and far more interesting than Megalodon. 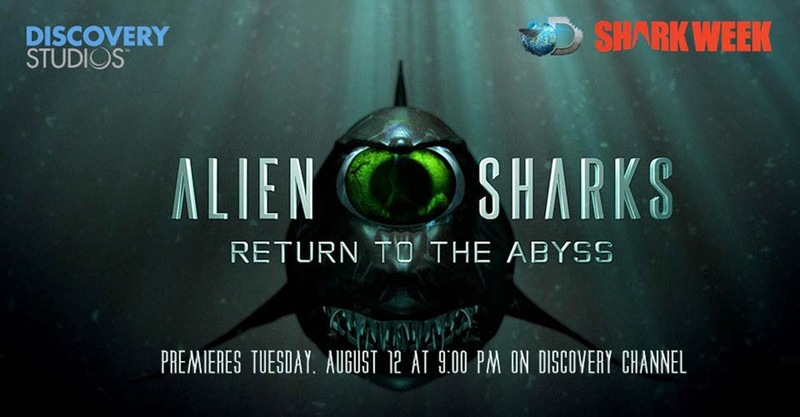 Ignoring the bumper that Discovery Studios put out that looks like something of a blend between Futurama and Monsters Inc, Alien Sharks has been a godsend for scientists. Both last year and this the program has been rather amazing, bringing shark biodiversity together with strange shark behaviors and real science. This year we see the fantastic Paul Clerkin discover some very interesting species, definately one to check out. The Shark Boat, filled with self described "EcoPirates," is cruising around California and Mexico. Included in their daily routine is shark and fish research, scuba diving, interrupting illegal and unregulated fishing and, apparently doing backflips off of their boat. This crew of silly scallywags are educational, entertaining and an entertaining way to learn about one of the biggest threats to sharks, humans. They update pretty much every day from their boat to their facebook, where they post fun pictures and videos to keep you entertained. Southern Fried Science is a collection of practicing marine scientists that educates on ocean science and issues. They have covered a ton of ocean species but their "Shark Feed" is a treasure trove of articles covering Dogfish to Goblin Sharks to international shark events. This is a perfect place to learn all about, not only sharks, but the whole amazing world of ocean animals. As dangerous as sharks are presented in Discovery's Shark Week, they are really at threat from us. There are few, if any, waters that they can swim in safety and Greenpeace has a petition to send to the UN. Though this only takes a few minutes to sign, you can fill up the Megalodon time with sharing the petition with your friends. The best advice anyone can give you about learning about sharks or the ocean is to leave your house and head to the ocean or an aquarium. You will learn more in a few moments than the entirety of Megalodon, and you actually be able to experience the fishes. Some aquariums, like the Monterey Bay Aquarium, will actually have special tours of their shark science departments, just ask around! The great Dr. Sylvia Earle has a documentary made on her life and her life's work in the Ocean. This visually stunning, real documentary about a woman who has spent more time underwater than you can possibly imagine is live today at noon on Netflix. Come learn about the former chief scientist of the National Oceanic and Atmospheric Administration and her zeal for ocean exploration. The film was made in partnership with Netflix as a part of their budding content development plan. Moving away from dramas like Orange is the New Black and House of Cards and into the documentary market. 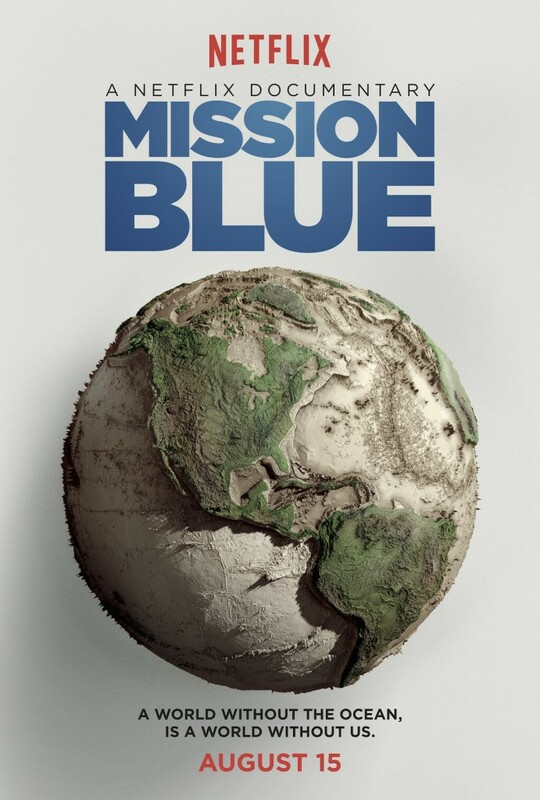 Mission Blue's end message is one of hope and action. The cast includes stars of science, stage and screen and an encounter with some gorgeous whale sharks and plenty of kelp.